The unlock code will be e-mailed to you after you purchase the full version of the program. It is comprised of a long random sequence of characters. 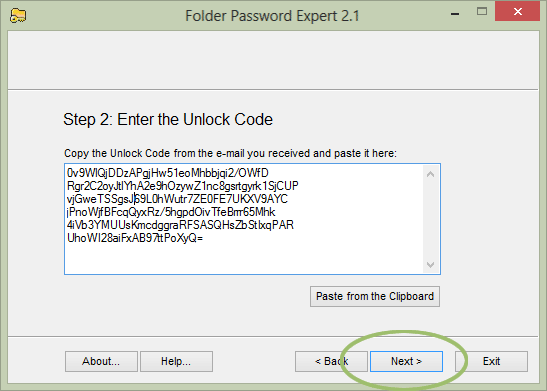 The unlock code will convert your trial version of Folder Password Expert into a full version. 1. Select the ENTIRE code and copy it (press Ctrl+C, or use the Edit > Copy command). 2. 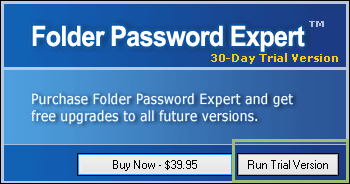 Run Folder Password Expert and click Run Trial Version. 3. 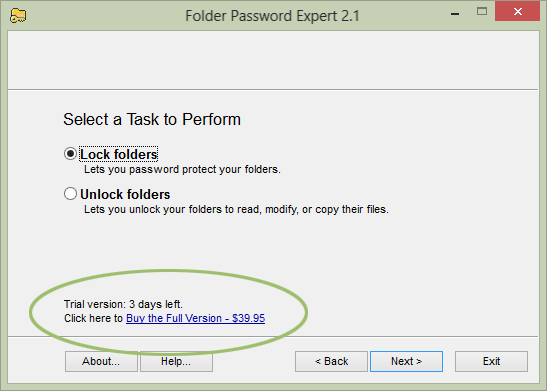 Click the "Buy the Full Version - $39.95" link at the bottom of the Folder Password Expert window. 4. 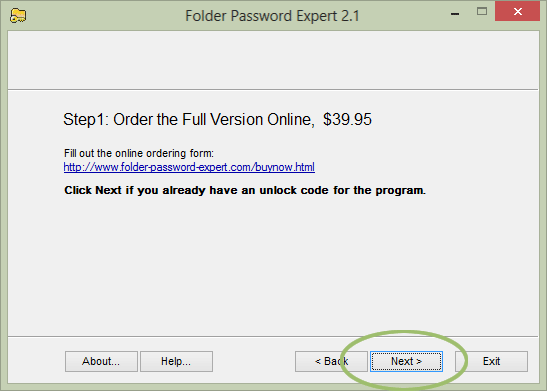 Click Next to skip the "Order the Full Version Online" screen (you already have the unlock code). 5. 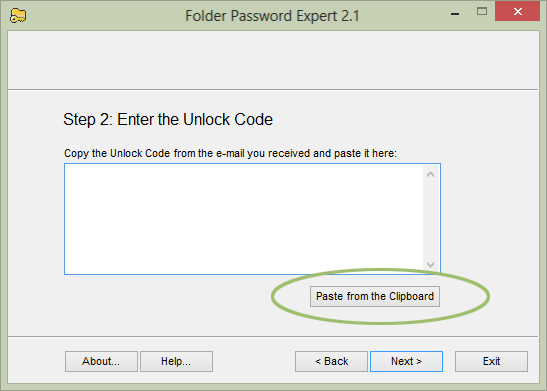 Enter the unlock code by clicking the Paste From the Clipboard button. 6. Click on the Next button to complete the process.